Gurudev preaches Love, Joy, Abundance and Happiness which can be achieved by following the path of Righteousness. SANATANA DHARMA the eternal law, is about living a fulfilling and more invigorating lifestyle. 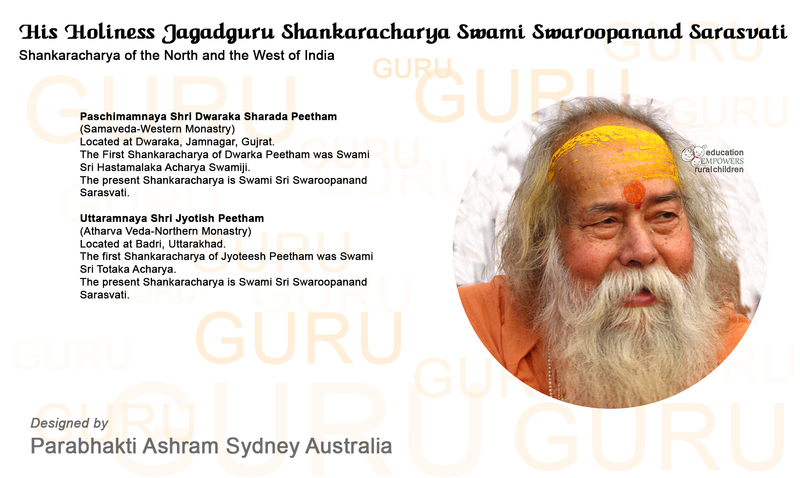 Pujya Gurudev is the present SHANKARACHARYA OF DWARAKA in the West and Jyotishpeeth in the North of India. Gurudev had two sisters Kusum and Geeta and four brothers who were Ramnath, Ramraksha, Hargovind and Ahivaran. He was called Pothiram as he was always interested in reading the scriptures. As a child Pothi used to sit and read scriptures when his brothers used to play. Pothi left the house at the age of thirteen and studied till then in Dighori which was his birth place. 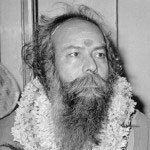 He met Swami Shivanand in the year 1938 and Swamiji had a great impact on Pothi. Swamiji predicted that Pandit Dhanpati Upadhyay and Shrimati Girija Upadhyay will have a son who will be a great saint one day whose name and fame will spread in the entire universe. Both his parents were pious, religious, loving, and very caring. Pothi used to listen to the Bhagavad Geeta, Ramayana from his parents and he would then go and relate the stories to his neighbours. This became a habit and very soon he became a well versed “KATHA VACHAK” one who can relate from the scriptures and in this way he used to revise the scriptures he heard from his parents. Dhanpath Upadhyay died when pothi was very young. He did not shed a tear and this worried his mother. He used to sit under a Neem tree and contemplate on Birth and Death. He would say mother why are you crying? father has gone to heaven where you too will go and so will my brothers and sisters and later on I too will join all of you. Gurudev also said “You should not have the Desire to Live or the Desire to die”. Gurudev’s Discourses are DIVINE and listening to them takes you to another planet straight away. He relates every Shloka from the Bhagavad Geeta with a story that has a moral. His Shishyas are spell bound and not one of them wants to leave the place where Gurudev has his discourse. He makes every shishya feel very special and thus the bond between the Guru and the Shishya becomes stronger. 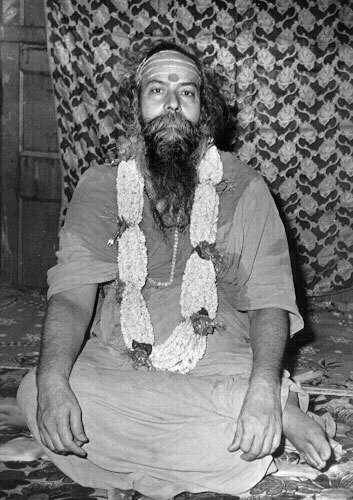 He has till now initiated more than 5oo million Shishyas. His Shishyas come from all over the world. Gurudev indeed is the incarnation of ADI GURU SHANKARACHARYA. Gurudev discovered the cave in which GURU GOVINDPADACHARYA gave Danda Diksha to Shankara who then became Adi Guru Shankaracharya. Govind Vanam is in Sakal Ghat on the banks of the river Narmada. Pothi met Dandi Swami Muktanand Sarasvati ji, at the age of fourteen. He wanted to study further so he left for Mughwani with his brother Ramraksha who joined the police force. 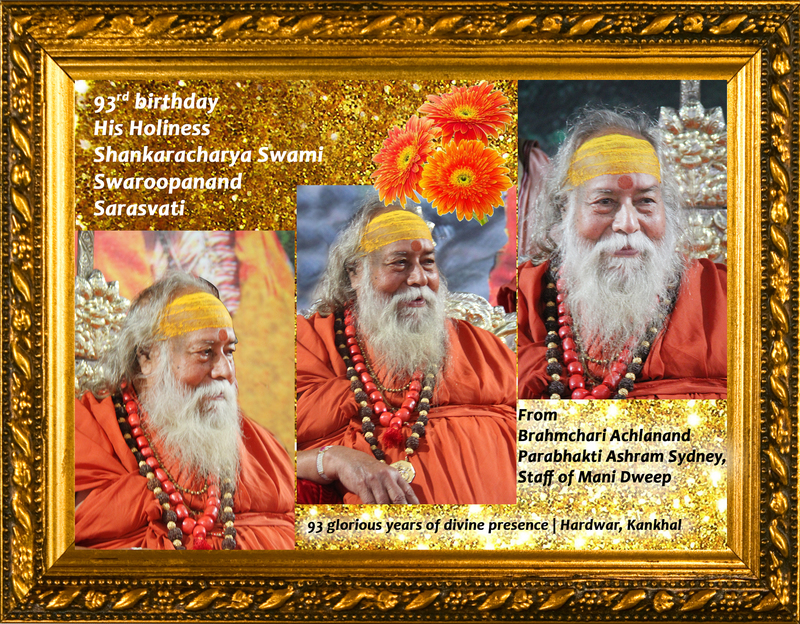 He met Swami Muktanand in Mughwani when Swamiji came to Mughwani for Chaturmaas. Pothi was very happy as he could now go for satsangh and hear swamiji’s pravachan, everyday for two months. He wanted his mother to come for Chaturmaas. Ramraksha advised him to write a letter inviting his mother for chaturmaas. Ramraksha the elder brother of Pothi took Danda Diksha from him and now at the ripe age of 96 he lives in Varanasi. Both the brothers have the same loving look and have a great sense of HUMOUR which is hard to find among Sanyasis of such a high order. Pothi studied for five years in a Sanskrit Pathshala in Narsingpur. Later he studied in Rampur Sanskrit Pathshala, Ichval gram, Ghazipur Zilla, U P, for two years under Bhola Singh who was his teacher, who soon became very attached and fond of Pothi, for whom he built a house which he named as “Mukti Kutir”. In the year 1942 he met Hariharanand later known as Karapartri ji. Both of them spent a lot of time together. Pothiram and Hariharanand observed Chaturmaas from 1942 in Varanasi for fourteen years at “Karapartri Dham” Dharm Sangh. 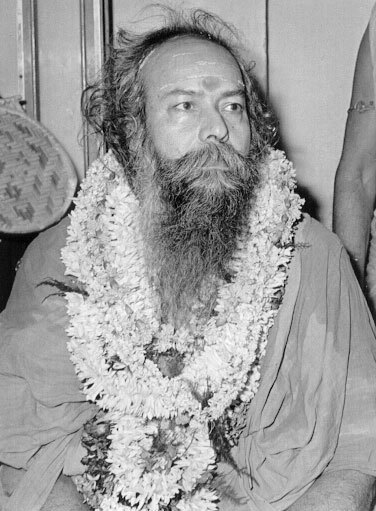 Karapartriji got Gurudev to take Diksha for Danda Sanyasa from Shankaracharya Swami Brahmananda Sarasvati ji of Jyothirmath in Calcutta at Lekhram Kothi, on 31st December 1949. 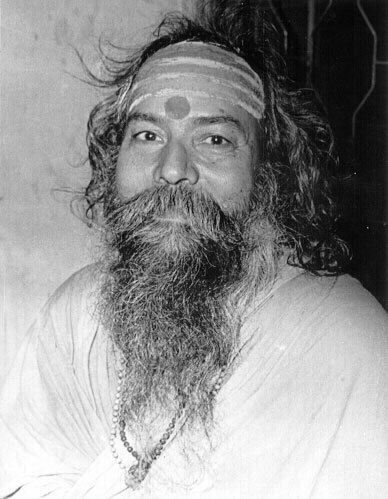 Gurudev took Shri Vidya Diksha from Karapartriji. 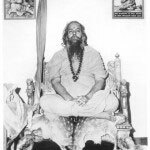 Later Gurudev learnt “KUNDALINI YOGA” from Pritam Das, Phulwari Ashram, Jhalon Zilla, U P.
In 1942 he was once again imprisoned for cutting the telephone lines of the British Government. 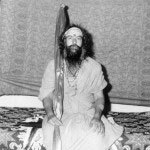 The British Officials were quite afraid of Gurudev as he was a very Fierce Young Dynamic Sanyasi. Gurudev did Bhagavad on the banks of the Bain Ganga River. 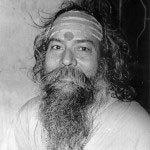 Gurudev was a young revolutionary MONK, Sanyasi, As a Freedom Fighter at the age of 26 he was jailed in Varanasi for 9 months. Guruji achieved his SIDDHI POWERS from “BRAHMA KUND” which is on the banks of the River Narmada close to Sakal Ghat. After achieving SIDDHI POWERS he wanted a serene, quite, place nestled in the lap of nature to do his SADHANA and TAPASYA. He soon found “VICHAR SHILA” with all the wild animals and having found all that he was looking for he did his Tapasya for 12 continuous long years and achieved “REALISATION”. Pothi met Hariharanand (Karpartriji) in 1942. On 7th December 1973 at, Shankaracharya Bhavan, Krishna Bodhashram, Kothi No 7, New Delhi. 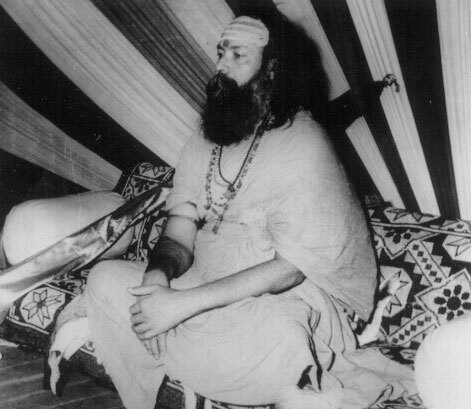 Gurudev was annointed as the Shankaracharya of JYOTHIRMATH. 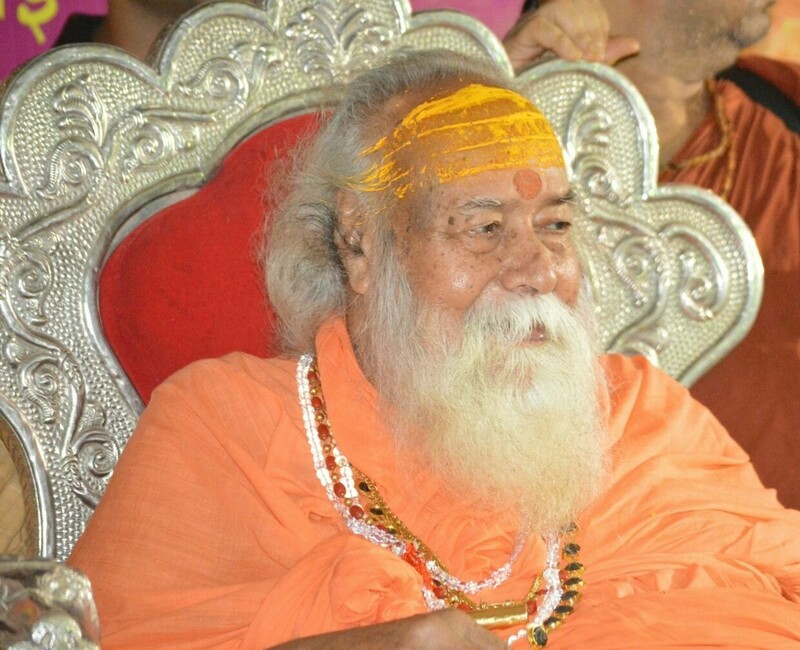 Gurudev’s ABHISHEK was done by Swami Hariharanand Sarasvatiji ( Karapartriji ) Shankaracharya Swami Niranjandev Tirth and Dwaraka Sharadha peeth Shankaracharya Swami Abhinav Sachidanand Tirth, Representatives of Shankaracharya Of Sringeri Sharadha Peeth, Chala Laxman Shastri and Vasant Gargil. Central Minister Chaudhary Neetraj Singh. 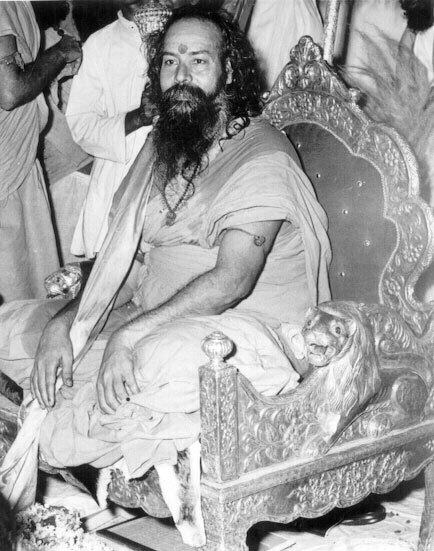 On 27th May 1982 at Dwaraka, Gurudev was annointed as the Shankaracharya of Dwaraka Sharadha Peeth. 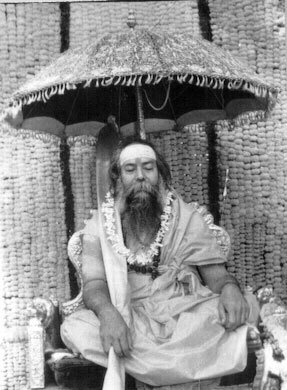 In the Shankaracharya Parampara after Adi Guru Shankaracharya, Gurudev is the only Dandi Sanyasi to be annointed as Shankaracharya of two seats. 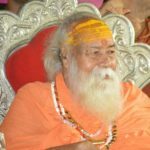 He was chosen by Shankaracharya Swami Abhinav Sachidanand Tirth of Dwaraka, as it was written in his will that after he leaves the physical body Gurudev should be the next Shankaracharya of Dwaraka as he is qualified, educated, experienced, and the incarnation of Adi Guru Shankaracharya. For the ABHISHEK Shankaracharya Swami Abhinav Vidya Tirth, and his shishya Bharti Tirth, the present Shankaracharya of Sringeri were present along with the minister of Gujarat. Tolaram Nema a resident of Shridham was present at this auspicious occasion and he carried Gurudev’s Padukas. 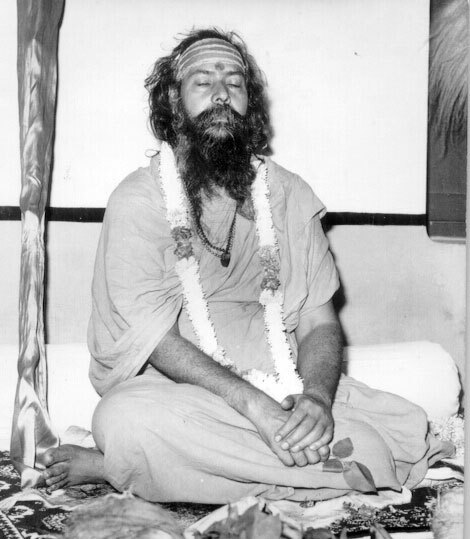 On 27th May 1982, Gurudev was annointed as the Shankaracharya of Dwaraka. In the Shankaracharya Parampara Gurudev is the only Dandi Sanyasi who occupies two seats. It is rare to see a sanyasi so caring, who has studied the scriptures, travelled the country and compassionate. He is also known as “Dharam Samrat” which means emperor of righteousness. Gurudev always cares for the ADIVASIS. Every year Gurudev distributes clothes, food, medicines to them at Vishwa Kalyan Ashram in Jharkhand. He is a Saint who always thinks for the needy, handicapped, old and sick. 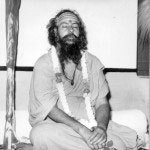 Gurudev was born on September 2nd in the year 1924, in a village called DIGHORI which is in the district of SIVANI. He came from a Brahmin family with a strict religious and spiritual background. His parents were loving and pious. His Father was Shri Dhanapati Upadhyaya and his mother was Shrimati Girija Devi who named him Pothiram. Pothi means Shastra which is our scriptures.He is said to be the incarnation of the Shastras. Born in a pious and spiritual family, his quest for truth was aroused at a young age of nine and soon he left on a pilgrimage. 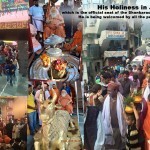 He went to Varanasi where he studied the Vedas which are the four pillars of HINDUISM. He further studied the Vedangas, Puranas, Smritis and the text on Nyaya from many divine souls. 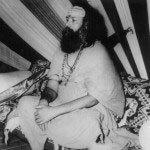 At this time Gurudev participated in the Indian Independence Movement and in 1942 was jailed by the British Empire. At the age of 19 itself he created a name for himself by being known as a “Revolutionary Monk” and soon got involved in the struggle for freedom. He was imprisoned twice and served a term of nine months in the Varanasi prison, and another term of six months in a Narsingpur prison in Madhya Pradesh. 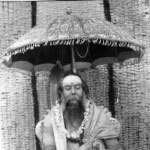 In the year 1950 he was initiated into the rare and exalted order of “DAND SANYAS”. 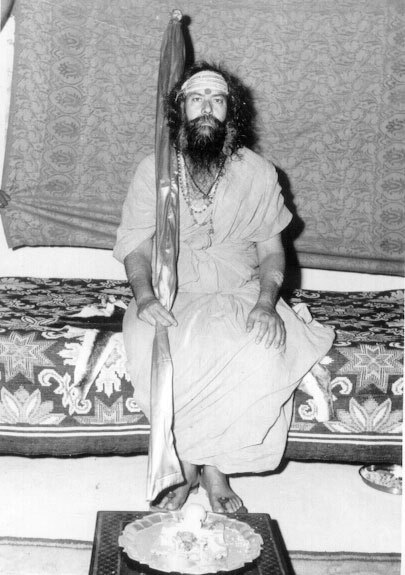 As a Dandi Swami he followed the foot steps of Shri Adi Shankaracharya ( Grand Sire of ADVAITA). 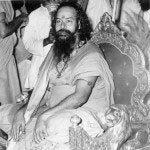 On the seventh of December in the year 1973 Gurudev was anointed as the SHANKARACHARYA OF JYOTISHPEETH. 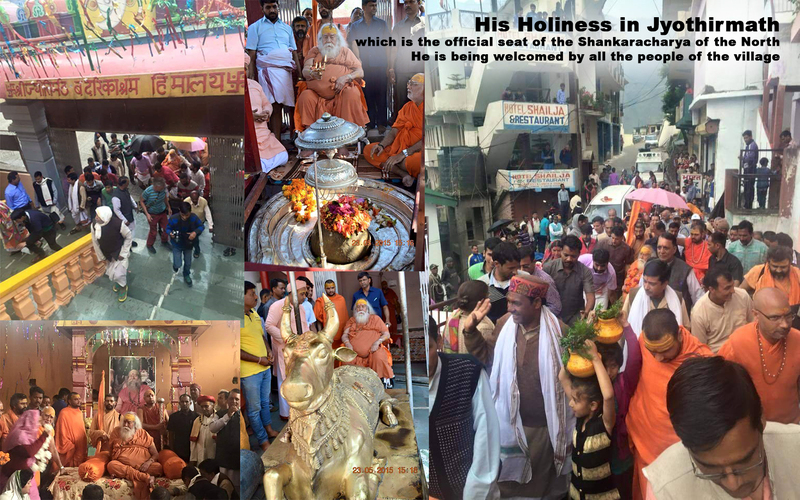 He took over the duties of Shankaracharya, spreading the message of compassion, love and humility among the people. His name soon spread far and wide and when the Shankaracharya of Dwaraka Sharadha Peeth left his physical body he requested Gurudev to take over the seat of Dwaraka, and he stated the same in his will. 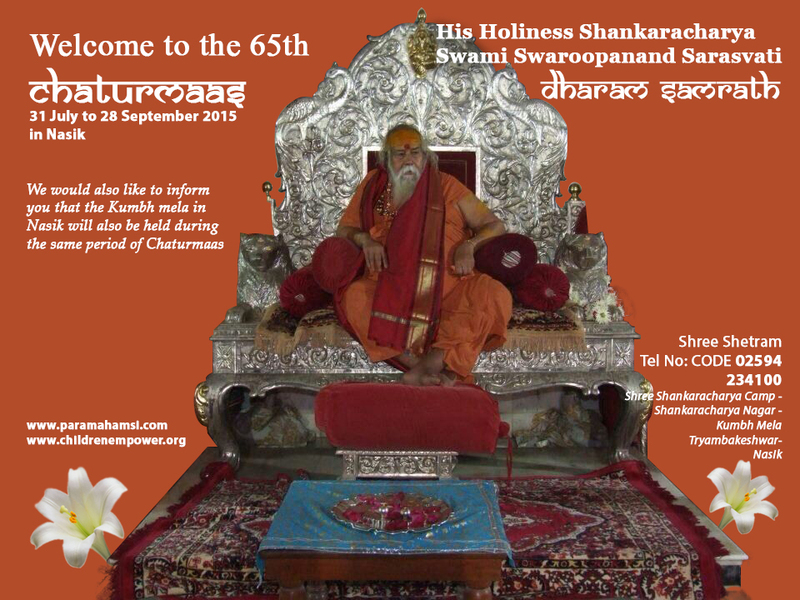 In the Shankaracharya Parampara, Gurudev is the only Shankaracharya who occupies two seats. 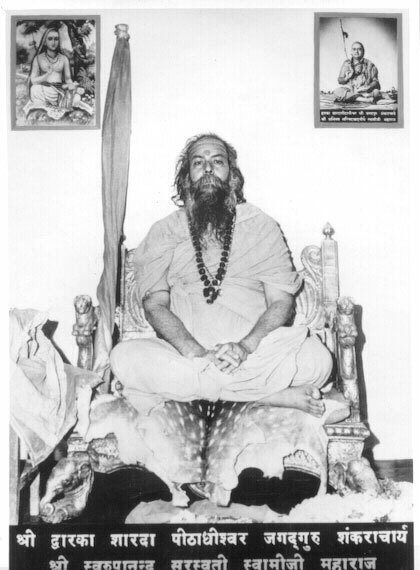 He is a liberated sage who has always followed ‘SANATANA DHARMA’ throughout his life. He is a living example of our scriptures. At the age of 87 he works non stop and helps the indigenous tribes. He has helped in guiding the nation towards resolution of some vexing and emotional issues. One of them was concerning the RAM SETU BRIDGE between India and Sri Lanka. The bridge was to be demolished but it was only because of Gurudev that the demolition was stopped. The other major issue Gurudev helped resolve was the 60 year old dispute over the land where LORD SHRI RAM was born. Hindus and Muslims could not come to a mutually satisfying solution. GURUDEV guided them towards the peaceful solution of building a temple and a mosque on the same land by maintaining a distance between them. This, as GURUDEV says, prevents one being disturbed by the other. Thus the bells of the temple do not disturb their Muslim brothers who are doing their Namaz and the loud speakers from the Mosque do not disturb the Hindu families doing their prayers in the temple. GURUDEV runs many VEDA pathshalas, Sanskrit schools and Ayurvedic dispensaries. 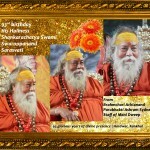 He promotes the Spiritual Path to the entire Humanity by travelling all around North and West of India. The sheer grace of Gurudev’s presence is enough to wipe one’s slate clean of all the worries, anxieties and psychosomatic ailments which cloud the path to ‘Eternal Happiness’. Advaita is a way of Life and it was first propounded by Sri Adi Shankaracharya who was born in the year 507 B.C. His Holiness in his book ‘The Path to Eternal Truth’ has given the principles of ‘Sanantan Dharma’ the Eternal Law which has no beginning and no end. By following his teachings one can bring in abundance into their life and spread love, joy, and Happiness.